Does your baby only stop crying in the car? This crib could save your sanity! 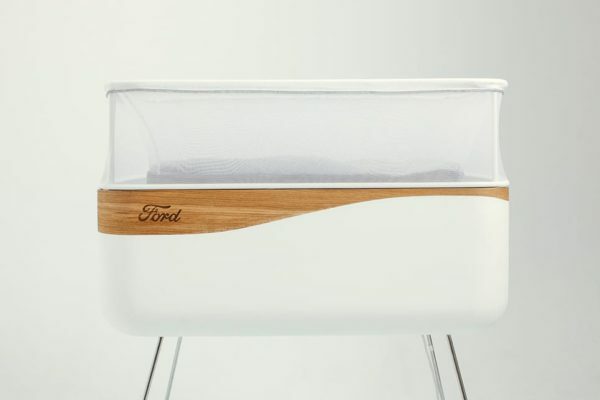 Ford have developed an amazing cot that’ll trick your baby into thinking they’re on a cosy car ride, all in the convenient comfort of your own home. Go the heck to sleep! 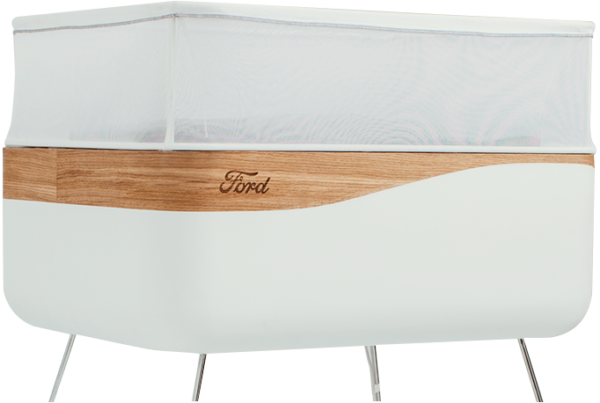 Mashable reports that the Max Motor Dreams Cot by Ford has the potential to change things up dramatically for parents of fussy babies who love a bit of a drive around the block. Ford’s clever cot simulates the motion, engine noise, and even the street lighting of those night time drives, all without leaving the nursery. Reminiscent of the Robot bassinet we told you about recently, by Snoo, the Max Motor Dreams has a slightly more automotive spin. No more will you have to drive around in your slippers, worrying if your now-lulled-to-sleep baby will wake up when you transport them from car to bed. Ford’s cot will (apparently, potentially) mimic all the best bits of those last-ditch, desperate go-the-heck-to-sleep journeys, as you smugly sip wine in the very next room. “After many years of talking to mums and dads, we know that parents of newborns are often desperate for just one good night’s sleep,” cot designer Alejandro López Bravo said in a press release. Could being the operative word. The catch is that, for now, this is a canny marketing stunt for Ford. For what its worth, the ploy has done its job nicely piquing the obviously hoped-for attention of the internet, and capturing the imagination of exhausted parents. It’s unclear whether Ford are happy about this, but we figure throngs of parents with pitchforks flashing the whites of their sleep-deprived eyes outside Ford HQ may help manipulate this helpful cot into your local nursery goods store. “For now, the Max Motor Dreams is a one-off pilot. But following numerous enquiries, the company is considering putting the unique cot into full‑scale production,” Ford says.